Regular chiropractic care, eating a healthy diet, exercise, taking vitamin supplements, keeping your weight under control and stress management are all part of an overall wellness lifestyle that, if followed, results in a longer, healthier and pain free life. Here is a list of simple tips to help you maintain a healthier, more vibrant body. Modern life is full of pressure, stress and frustration. Worrying about your job security, being overworked, and driving in rush-hour traffic, arguing with your spouse— all these create stress. According to a recent survey by the American Psychology Association, fifty-four percent of Americans are concerned about the level of stress in their everyday lives and two-thirds of Americans say they are likely to seek help for stress. You may feel physical stress as the result of too much to do, not enough sleep, a poor diet or the effects of an illness. Stress can also be mental: when you worry about money, a loved one’s illness, retirement, or experience an emotionally devastating event, such as the death of a spouse or being fired from work. After decades of research, it is clear that the negative effects associated with stress are real. Although you may not always be able to avoid stressful situations, there are a number of things that you can do to reduce the effect that stress has on your body. The first is relaxation. In addition to back pain, those who are overweight or obese may suffer from fatigue, as well as difficulty breathing and shortness of breath during short periods of exercise. If the fatigue and shortness of breath causes one to avoid activity and exercise, then this can indirectly lead to back pain as lack of exercise contributes too many common forms of back pain. One of the most important nutrients for your mind and body speeds toward you at 186,000 miles per second from more than 93 million miles away. This nutrient is called sunlight. Most people don’t think of sunlight as a nutrient, but it is. Sunlight is necessary for regulating proper hormone function, calcium absorption, bone health as well as a normal daily sleep-wake cycle (circadian rhythm). Unfortunately, the light to which most of us are exposed each day comes from man made sources, such as fluorescent, sodium and incandescent lights that do not produce full-spectrum sunlight. Numerous studies have shown that these limited-spectrum artificial light sources can make students irritable in school, reduce production among factory workers and make office workers sluggish. In one study, researchers even found that calcium absorption dropped off in the elderly who spent their days indoors during the winter, while those who spent time under full-spectrum lighting had an increase in calcium absorption. Getting enough full-spectrum light can give your mood a tremendous boost. Light can help reduce stress, help you feel happier and improve your ability to concentrate. Try to spend at least 15 minutes outside every day; even when it’s very cloudy. The full-spectrum daylight is still beneficial to your health. Begin using a light box during the fall and winter seasons, especially if you tend to get the winter blues. Stop wearing sunglasses as they create very unnatural light for your eyes. Sunglasses should only be worn when you need to protect your eyes from physical harm or very bright light. To maintain a healthy life style consider a regular visit to your Minnesota Chiropractor. They have a lot to offer in maintaining a healthy body and mind. Chiropractic care is a non-surgical treatment option to prevent disorders and occurrences to preserve your health. Chiropractic is about taking pressure off nerves, adjusting the spine for proper alignment, improving range of motion, decreasing the wear and tear our bodies take, and evening out the wear and tear our spines receive. When you make routine Chiropractic care a part of your lifestyle, you avoid many of the aches and pains that so many people suffer through, your joints will last longer and you will be able to engage in more of the activities you love. Everybody is unique and different and therefore everyone requires a unique and customized Wellness Program. 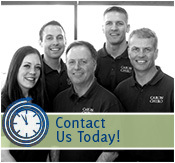 Talk to your St Paul MN Chiropractor about ways to improve your health. Your chiropractor can also advise you on vitamin supplements to take that will help you lead a healthier life, such as taking vitamin D, vitamin C and reducing your sugar intake. They will also be able to recommend a maintenance plan of chiropractic care that includes exercises, once your body is functioning optimally to keep your immune system working and fighting off disease. This entry was posted	on Thursday, June 21st, 2012 at 6:00 am	and is filed under Chiropractic Treatments, Healthy Living. You can follow any responses to this entry through the RSS 2.0 feed. You can leave a response, or trackback from your own site.